Reason to go for this build. 1. Going for offensive saint. 2. Fully utilise important skills. 5. A different choice of game play, rather then fully supporting. A. I choose not to is because the maximum percent is equal to a tent plate and most pro players are good in dodging. No point saving those who don't even know what the boss is going to do. 2. Block was suppose to be an important skill why not? A. There's Holy Shield to replace block. Take note that you only have limited quick slots. Replacing block tends to teach you to look at the boss and act according. 3. Is it important to have slide step and aerial max-ed out? A. I would prefer to as it would greatly help in running away as clerics are a class who have short legs ( Slow runners )- Aerial is to prevent you from flying over and over again especially when you get trap in a combo by boss. 4. Is having dual ultimate a wise choice for saint? A. For me no because there isn't any point if you can't trigger two skills together and it cool's down at the same time. Some would argue that heavenly tends to bring out more damage but I think the relic is good enough to dps as it would also buff up a 10 second shield. 5. Why would you increase lightning relic to 9 when you only need to have 6 to get EX. A. It's a mistake as it's my first time allocating SP. But if I would have a choice, I would have done the same thing because to better to have a balance of good skills. 6. Is it better to divide out skill points through out few other unlearned skills like avenging wave or first aid rather then locating them to the same skill? A. I would prefer to focus on certain skills as the higher the level is the greater the output is and it is one of the main factor why I created this build. Also is to fully utilise the quick slots as there's only 20 of them. 7. Any other things to take note? A. Some argued that whether is it good to add wand mastery. For me, it is because it still adds Magic attack. Another thing is that there is a gap of difference between damage output in certain skillls. Example, Lvl 5 detonate is ( 2**% + 2*** ) and Lvl 6 is ( 2**% + 5*** ). 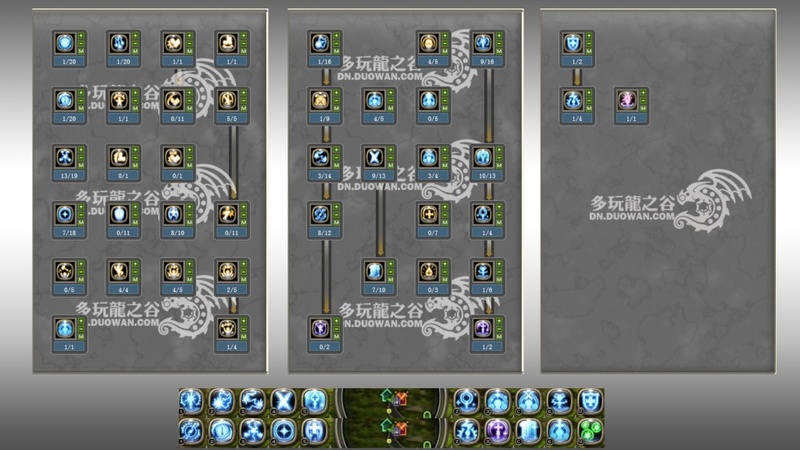 Or Lvl 6 Grand Cross ( 3**% + 7*** ) and Lvl 7 ( 3**% + 10***). The last point to take not is charge bolt where it allows 11 hits if your skill level isi above 11. (Read it some where). Reason : When the relic falls, it will knock the mobs around it to trip preventing it to approach you. Chain lightning to increase paralysis output to increase detonated mobs. Simple and efficient because chain lightning has high probability in paralysis effect. Reason : There's a small step of "walking" for divine combo to moveinto mob area and at the end of the last hit will knock them fall. Charge bolt comes in to allow a direct 11 hits on the monster. Holy Burst come last to finish mobs around. Note: Two different good skills are used in different patterns as it allows cool down time. By the time you finish pattern 2, the detonate on pattern one will be ready. Reason : Freeze mobs within 1.5 sec to allow casting time for grand cross. why holy bolt lvl 7?